Having been trained in the ways of the original Viking Ninja Erik ‘ESIK’ Melland, steel mace has found a permanent home within the walls of RTS. In fact, Ranfone Training Systems is the only place in all of Connecticut to offer an official Onnit Certified Steel Mace Class! We share this fact not because it is a humble brag, but because the RTS Steel Mace Class has quickly become one of our community’s favorite classes. Fun and effective, steel mace training is so great because it creates a demanding full body workout. 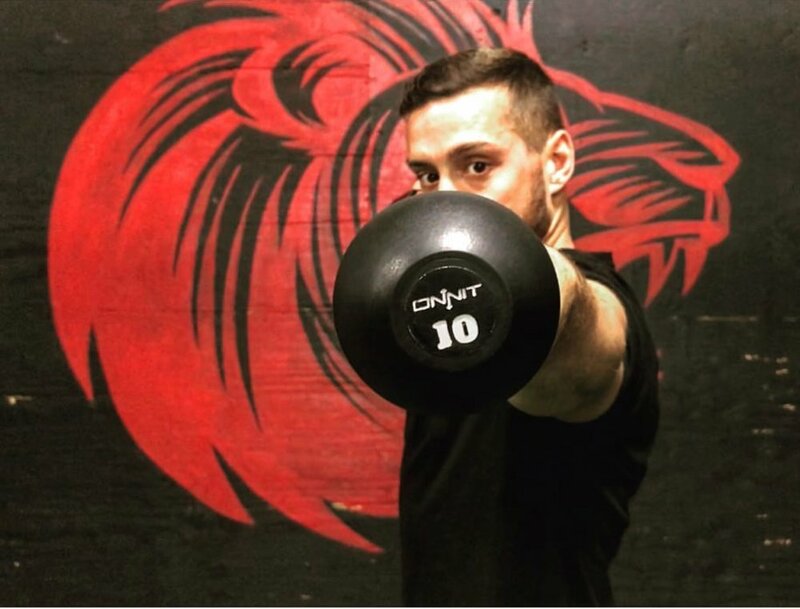 The versatility in this training tool allows those who practice with it to customize their training for strength, muscle building, endurance, or fat loss. In other words, whatever your needs are, steel mace can help address them. Demands Balance and Body Awareness: Because of the uneven weight distribution (most of the weight is found at top of the mace, in the ball), the steel mace requires controlled amounts of instability. This forces steel mace practitioners to react accordingly in order regain balance and stability. Equal Opportunity Growth: By incorporating a training regimen that utilizes a unilateral weight, the steel mace will help to prevent your dominant side from simply taking over for your weaker side. The uneven design of the mace allows practitioners to evenly hit muscles throughout the workout. Great for the Core: The steel mace can create incredible stimulation for the core. Wen properly practiced, this can help fix any imbalances you might have. Great Class Experience: Recent studies have shown that training with a group can actually improve your mental and physical wellbeing. By learning to use a steel mace in an intimate class with a certified instructor, we can maximize your results while emphasizing the correct technique. All in, steel mace training is aligned with our overall philosophy at RTS. Incorporating a steel mace class into your weekly workout schedule can help improve your coordination, balance, strength, and overall endurance. Our team here at Ranfone Training Systems is dedicated to putting you in a position to succeed in achieve your fitness goals. To see what it is like to put steel mace training into practice, sign up below to learn more about our classes. We currently offer multiple steel mace classes throughout the week and look forward to introducing you to this powerful training tool. Want to try a Steel Mace Class for FREE?